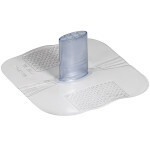 Designed to protect the rescuer while aiding in the administration of proper CPR technique, it has become the standard by which others are judged. The positive one-way valve inside the airway enhancing bite block is designed for maximum protection of the first responder. 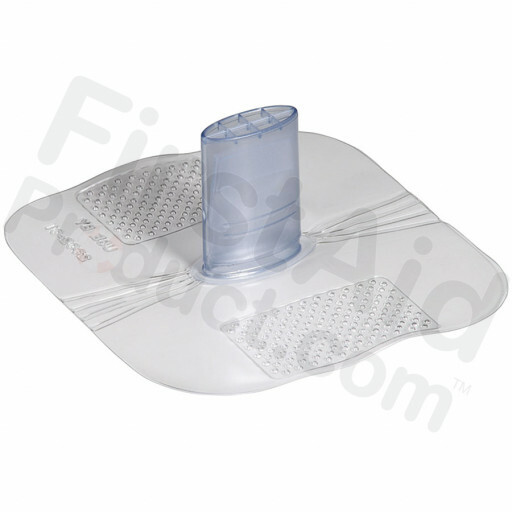 It also assists in keeping an open airway while performing the head-tilt, chin-lift maneuver. 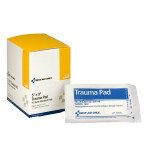 The sealed pouch offers a tamper-evident, waterproof closure assuring the first responder a clean, ready to use device. 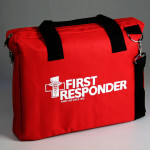 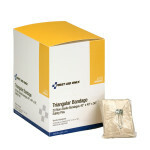 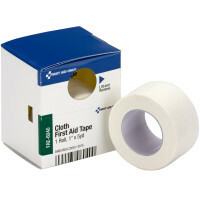 Ideal for long term storage in first aid kits, vehicles and equipment cases. 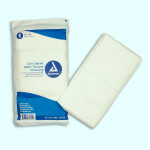 Microshield Faceshield, with Tamper Proof Pouch - 1 each. 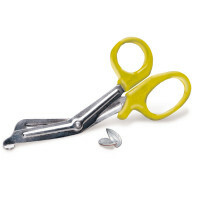 Utility Shears, 7-1/4", 1 ea.